All cleaning service companies out there in the world will say, in a heartbeat, that they care about quality service. Every company will say that they are the best at what they do. It is, after all, the most important aspect to any company in service of others. It is how great service industry companies last. And it is easier said than done. How do you know if a company truly cares? If what they say, is how they act? Read the reviews. People love leaving them. (Hello, Yelp, Google+, Angie’s List, Home Advisor etc). Companies in the service industry make it or break it by customer testimonials. The same goes for restaurants, products, movies. You get the picture! Our trust in a service is strengthened by the affirmation of other positive experiences. When we trust something, the value of that product or service becomes clear and then we are legitimately emboldened to give our time and money in exchange for that thing- because we want to experience the same. Read our reviews. In turn, we at Maid In Oahu love to hear them. Every positive review we receive feels like a huge milestone. Think about it! Each time we we enter a home – be it for the first time or the fourth time this year, it is our one opportunity to prove the quality of our cleaning service. An exceptional cleaning service takes both disciplined attention to detail and flexibility to unknown elements as we walk into residential homes of all different sizes, location and level of dirty. Don’t worry, we accept the challenge. When a customer recognizes the level of care Maid In Oahu has for our clients, it means everything.  Here is our value: Maid in Oahu is the trusted and reliable home cleaning service for your home. Direct feedback informs us of what customers appreciate. Reviews are clear, honest insights as to how to make our cleaning service better. When you the customer are happy, we succeed. When we make a mistake, it is a harsh blow and taken very seriously. Both are bound to happen and are essential to organic growth. It is the nature of the service industry. We are here to be transparent. To show you how we work and why Maid In Oahu is the best cleaning service in the Hawaiian islands. To provide the best quality service and treat both customers and cleaners with respect, is our commitment to every home we clean. Check our reviews here, so you can decide. Need info on Services + Pricing? Go here to find which type of cleaning to book.